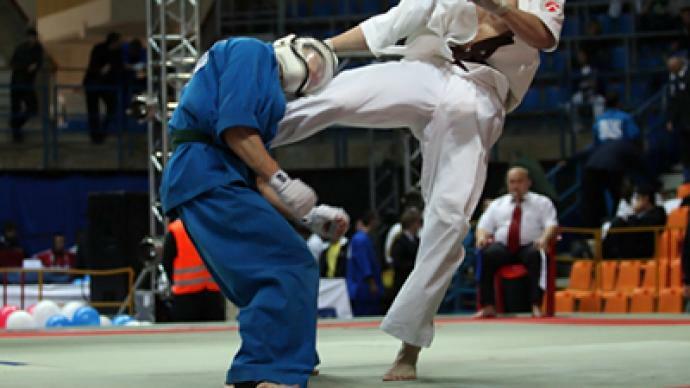 Moscow has been handed the prestige of hosting the first Kudo World Cup outside of Japan – a decision celebrated with a demonstration of the relatively new martial art. ­Kudo is a mish-mash of various techniques, with the main elements being boxing and Jujitsu.It first appeared as a separate style in 1981, quickly gaining worldwide popularity. Russia has essentially adopted the sport as its own and it dominated at the last World Championships, winning all seven gold medals. “Kudo is very popular in Russia because it is more realistic, aggressive and spectacular. On the one hand, almost all punches and kicks are allowed and on the other hand it is safe because of the equipment. And of course we all want Kudo to be included in the program of the Olympic Games,” said Yury Panov, 2009 Kudo World Champion. Next year's World Cup will be Kudo's first major event outside its native land of Japan – a tournament the Russian squad will once again aim to clean up at. “One of the reasons we managed to win the right to stage this tournament is our triumph at the World Championships. The great sensei Takashi Azuma is very impressed by our progress. He used all the advantages of various martial arts and created Kudo. And the Russian fighters took all the best from Kudo and developed it a little into a more offensive martial art,” explained Roman Anashkin, President of Russian Kudo federation.